It’s no secret that we love literature here at Prestwick House, which is why we’re always looking for fun ways to express our passion for the written word. This February, we’re proud to present 12 free pun-tastic Valentine’s Day cards inspired by some of our favorite works of literature. 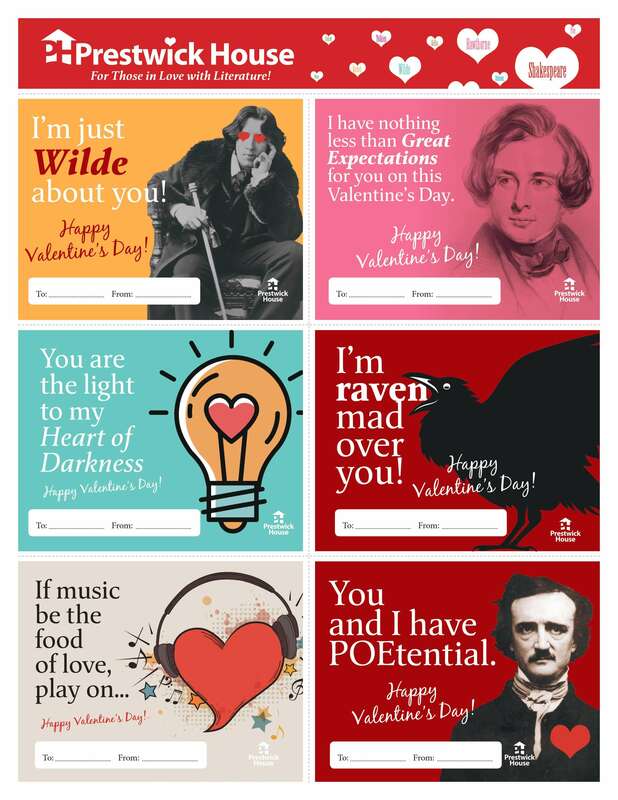 From Shakespearean sayings to the poems of Poe, these cards are sure to make your Valentine’s Day a real page-turner! Show the world your love for literature with 12 adorably punny Valentine’s Day cards—just print and share!